The United States government continually creates and stores documents as a matter of public record. These documents, which serve as a way to record significant events in a citizen’s life, are accessible by the public. However, knowing where to look for those documents is often a complicated endeavor. 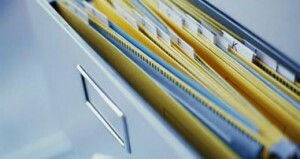 The information contained within a public record can come in handy during a multitude of occasions. Whether you need to investigate the details of a prior marriage, see the result of an old judgment in court, purchase a new home or car, or review an individual’s military service record, a San Bernardino County licensed investigator knows the best and most accurate places to look. When launched and conducted by a San Bernardino County licensed investigator, a public records search can render a lot of useful information. In general, these types of searches are a vital part of criminal cases, background checks, and other types of personal private investigation. By hiring a San Bernardino County licensed investigator you can benefit in numerous ways. Individuals, small businesses, large corporations, and law firms all depend on private investigators to collect pertinent information through public records. A San Bernardino County licensed investigator has the ability to discover and present vital information quickly and efficiently, which is much more useful than trying to gather the information on your own. As always, the best evidence is always in the form of the original document. Copies might suffice in some instances, but documentary evidence can become shaky when the original is not presented. This is especially true during litigation, wherein uncertified documentation might be challenged by lawyers and/or the court. Allow a San Bernardino County licensed investigator to legally and ethically track down, verify, and present the public records investigation findings for you. For more information on having a public records investigation conducted on your behalf, or to hire a San Bernardino County licensed investigator immediately, call (951) 800-8232. We provide you with a free initial consultation and price quote for our services.